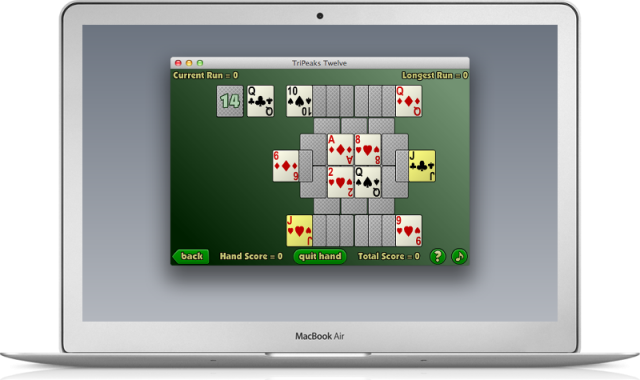 TriPeaks has been a popular computer solitaire game for twenty years, and TriPeaks Twelve is the best TriPeaks value you\'ll find. 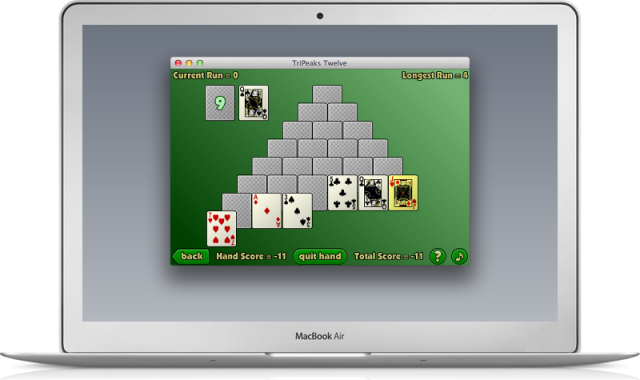 In addition to the classic three-peak game, TriPeaks Twelve has several other fun versions, ranging from really easy to nigh-impossible. 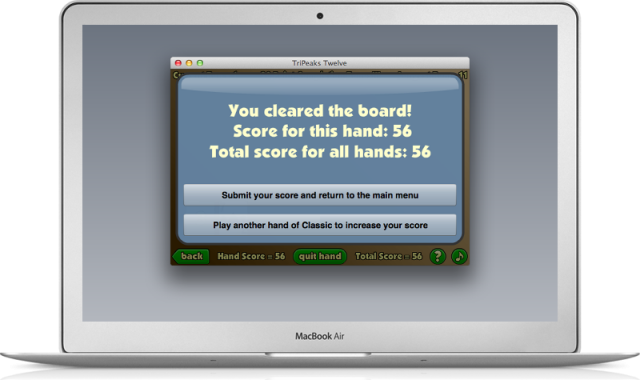 The tougher levels introduce "Jokers Wild" modes so you don\'t get too frustrated. 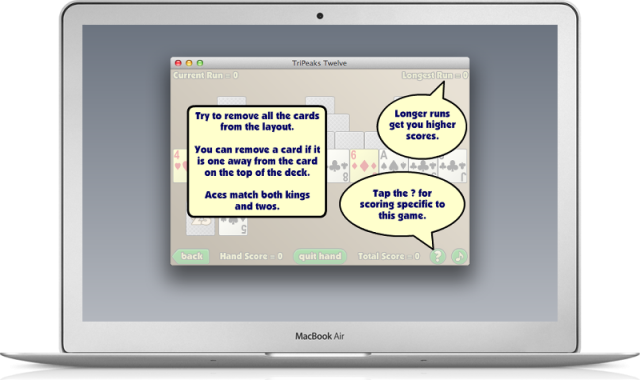 TriPeaks Twelve offers four different card styles and internet-shared high scores so you can brag about your accomplishments to the world. 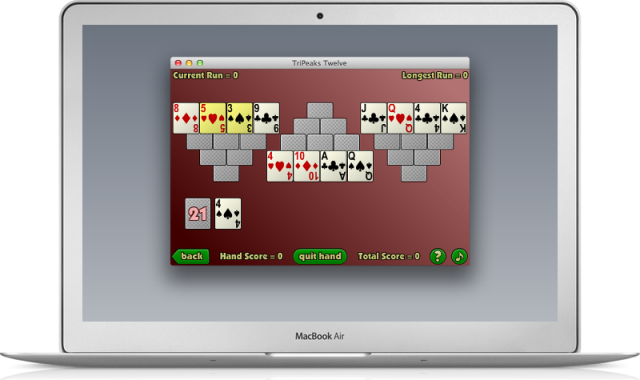 If you are looking for classic TriPeaks, or if you want to try something new, TriPeaks Twelve is just the thing!